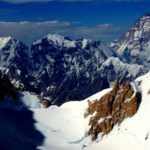 Ama Dablam avalanche testimony - Tim Mosedale update: "Camp 3 simply vanished, the incident could not have been avoided"
(MountEverest.net) *Story Updated: 02:33 pm EST Nov 19, 2006. Pls check below. I was woken at 04.15 local time by the noise of a huge avalanche, British expedition guide Tim Mosedale writes on his website. Tim was in Ama Dablams BC when a falling serac collapsed over camp 3. I glanced out of my tent to see a huge plume of snow and spindrift floating at the bottom of the mountain. It was obvious that this had been a huge fall. There were then another 2 avalanches over the next 20 minutes or so but it was difficult to ascertain exactly where they were originating from. When I got up at 07.00 I had a chat with my staff  They agreed that this had obviously been a big fall. The light was still quite poor and it was difficult to gain any information through binoculars until the sun came round more on to the face. On closer inspection, however, I could make out scour marks over the edge of the Camp 3 area (Camp 3 is not directly visible from Base Camp and so we could not see whather the tents were still there or not). There were reportedly a couple of groups up at Camp 3 and they were not answering their early morning radio calls. Normally people should be moving up or down from Camp 3 from 9 o'clock onwards but again there was no sign of movement. It became a tense and worrying time at Base Camp as people feared the worst. Unfortunately it was time for my team to leave, as we had to get back to Lukla, and we did so with a certain shroud of doubt hanging over us about the outcome. Indeed my fourth summit team had been at Camp 3 just the night before the incident. We knew that there were a couple of Climbing Sherpas from Pangboche at Camp 3 and their friends were worried for them. On the morning of the 15th Nov we were at Kyanjuma (just above Namche Bazaar) and as the sun rose it was possible to see, even by the naked eye, that a huge area of Camp 3 had basically disappeared. 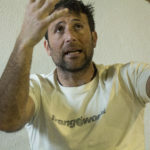 One of my fellow expedition leaders, on the way back from Everest Base Camp, rang our head office in Kathmandu and the news was confirmed that people were missing, feared dead. There was a flurry of helicopter activity and the news spread very quickly. This is an absolutely tragic event and is the first of its kind on Ama Dablam that people can remember. Our condolances go to all those who have been affected by this incident. "Further to reading other, extremely inaccurate reports, I wanted to clarify a few points." 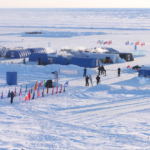 "Firstly, there are statements that the tents were pitched too far to the left at Camp 3. Indeed one such report has been made by someone who not only did not visit Camp 3 this year - but didn't even visit Nepal! I went to Camp 3 and I can categorically say that Camp 3 was in as safe a position as it has been in the past. The tents were pitched on platforms hewn from the snow and ice and could not, actually, have been easily sited any further to the right or left." 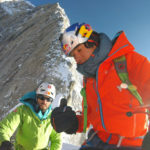 "Secondly, regardless of where the tents were pitched I am afraid to say that no one stood a chance of surviving what was a huge serac fall and avalanche. The whole of Camp 3 was affected and, indeed, part of Camp 3 fell off the mountain." "And lastly there are reports of the mountain being too busy and overcrowded and that this may also have had some bearing on the tragedy. This is simply not true. 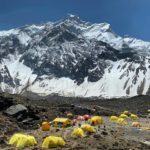 Yes Ama Dablam is becoming an increasingly popular destination but this did not compromise the siting of Camp 3 or have any bearing on what was a natural disaster." 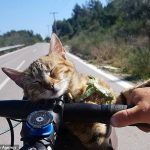 "The reason why I am making these points is that I would hate for the friends and relatives of the deceased to feel that there was anyone at fault or blame, or that the incident could have been avoided in any way." Everest summiteer Tim Mosedale is a mountain guide and climbing instructor based in UK's Lake District. 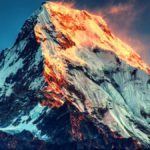 Six members in Tim's team summited Ama Dablam two days before the avalanche struck - three climbers slept in C3 the night before the events. 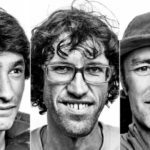 In the night between Monday November 13 and Tuesday November 14, six Ama Dablam climbers (one Brit, two Swedes and three Nepalese Sherpas) were swept by an avalanche while sleeping in C3 on the normal route, shortly before attempting the summit. 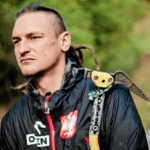 The missing climbers belonged to two different teams: Swedes Mikael Forsberg (41) and Daniel Carlsson (27), together with their Sherpas Danurbu Sherpa (37) and Tashi Dorje Sherpa (36), were part of an independent Swedish team led by Mikael whose members had summited Island peak some days before. 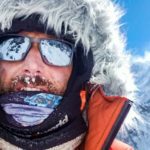 British Duncan Williams (32) and his Sherpa Mingma Nuru were climbing with a team launched by British outfitter Adventure Peaks. Located at the upper Khumbu valley, above Thiangboche, Ama Dablam, The Goddess Necklace is among the most frequently photographed peaks in Nepal, and also a favorite among climbers due to its elegant shape. The normal route climbs along the SW ridge, on mixed terrain. The peaks reported altitude varies, depending on the source, from 6812 to 6828m. Photograph taken from Kyanjuma (approx 4 miles away) showing the effects of the avalanche, courtesy of Tim Mosedale (click to enlarge).